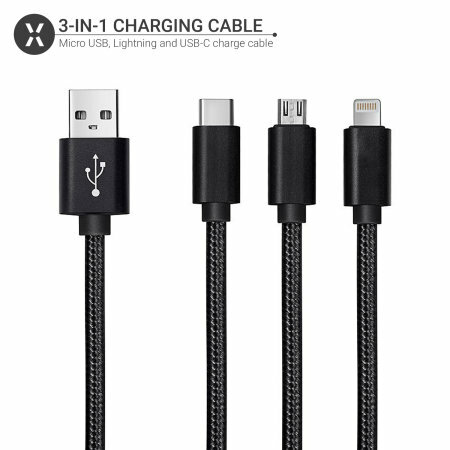 Featuring not one, not two, but three charging connectors - Micro USB, Lightning and USB-C - this durable, stylish and highly functional braided cable from Olixar allows you to charge virtually any smartphone on the market. 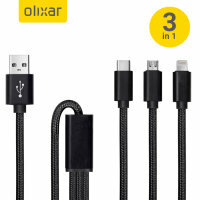 This cable from Olixar is sturdy, lightweight, resilient and super-functional - consisting of three different connectors to cover virtually every smartphone currently on the market. Never be without a charging solution again with this pocket-sized yet formidably feature-rich cable. Although more and more devices are adopting the USB-C standard, a huge amount of phones still use Micro USB as their connector - including the Samsung Galaxy S7, S7 Edge, J3 and J5 2017, as well as most of Motorola's Moto range, among others. The high-quality Micro USB connector on this cable is perfect for charging these devices. All of Apple's iPhone devices, from iPhone 5 onwards, utilise the Lightning standard - a reversible connector with great charge speeds which also just happens to be included with this cable. With more and more smartphones, tablets and even games consoles (Nintendo Switch) using the USB-C standard, this cable's superior USB-C connector futureproofs this cable and ensures you'll be able to use it for many, many device life cycles to come. 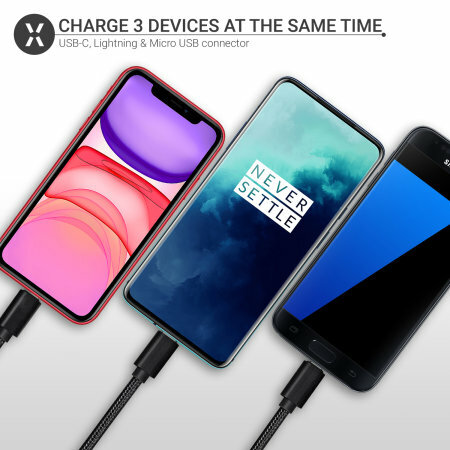 This cable is perfect for use with devices such as the Samsung Galaxy Note 8, S8 and S8 Plus, as well as the LG G6, Google Pixel, HTC U11, OnePlus 5 and more. The Olixar 3-in-1 Braided Tough Cable allows you to connect a USB-C, Lightning and a Micro USB device all at once to charge them all simultaneously - reducing the number of cables you need to take with you and without the need to prioritise one device over another. 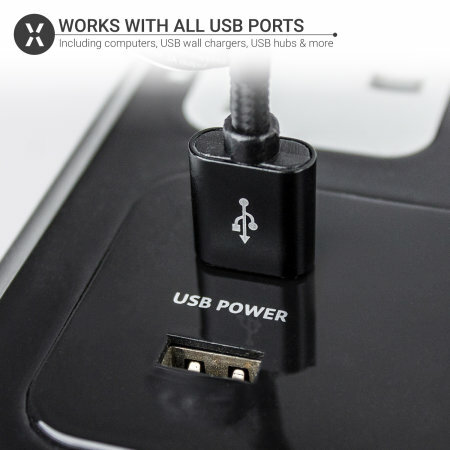 All you need to do to charge with this cable is plug in the relevant connector to your device, then connect the standard USB end to any powered USB port - including computers, USB wall chargers, USB hubs and more. Most people's charging cables will take a bit of a beating over their device's lifetime. After all, the cable is likely to travel with you most places you go - you don't want to be caught short with a dead battery. 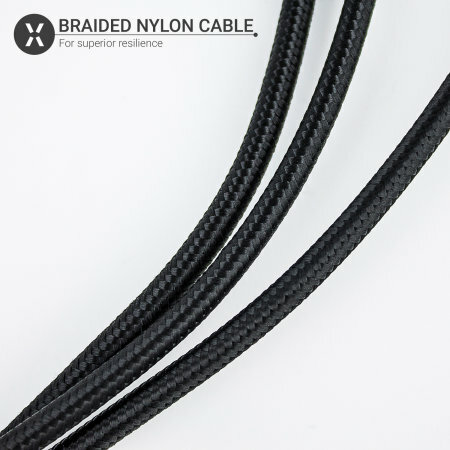 This cable's sturdy, resilient braided nylon construction ensures that it can take a lickin' and keep on kickin' for as long as you need it to. 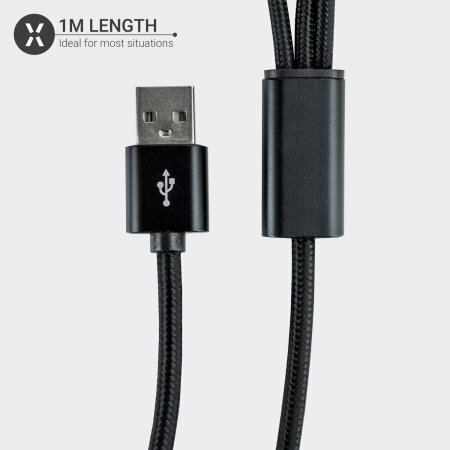 This cable's 1m length ensures that it is not too long to get in the way or to be tripped over, but not so short that you won't be able to use your device while charging.